About the beginning of His thirty-second year, when the Lord Jesus was going throughout Galilee, preaching and working miracles, many women who had received of His beneficence left their own homeland and from then on followed after Him. They ministered unto Him out of their own possessions, even until His crucifixion and entombment; and afterwards, neither losing faith in Him after His death, nor fearing the wrath of the Jewish rulers, they came to the sepulcher, bearing the myrrh-oils they had prepared to anoint His body. 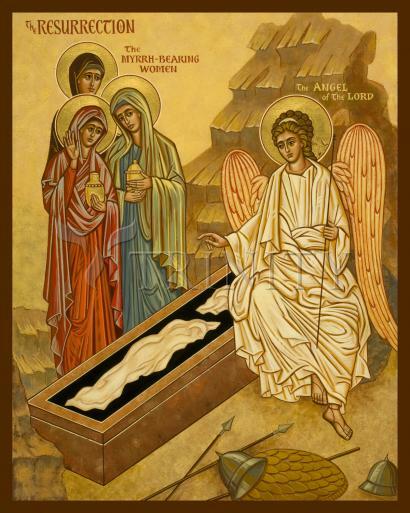 It is because of the myrrh-oils, that these God-loving women brought to the tomb of Jesus that they are called the Myrrh-bearers.